How much should you tip at restaurants in Mexico? In general, you should tip around 15 percent for good service at a restaurant. Tipping is expected in Mexico. Mexico's government-mandated minimum wage is one of the lowest in Latin America at 67.29 pesos per day (around $5.00 USD per day). Because of that low minimum wage, tipping is an accepted norm in the country. Tips should be given to everyone from the gas station attendant to the windshield washer to porters and waiters. Tipping Currency: In touristy areas, you can either tip in American dollars or pesos, though Mexican pesos are preferred. If you tip in dollars, tip only in bills and not in change, because the casa de cambio (changing bank) will not issue pesos for American change. In non-touristy areas, tip only in pesos because the nearest casa de cambio may be many miles away. Asking for the Bill: In Mexico, it is considered rude for a waiter to bring the bill before the customer requests it. The waiter will bring out food and let you leisurely enjoy your meal. Once you are finished, you must ask for la cuenta (the bill) or make a hand signal like you are writing a check. All Inclusive Resorts: Though many all inclusive resorts have a stated "no tipping" policy, tipping is very common at these resorts. If you plan to tip, bring along small United States currency, such as $1 or $5 bills. In general, $100 should be sufficient for tips for an entire week. High-End Restaurants: At high-end restaurants, you should leave between 15 percent to 20 percent of the meal. 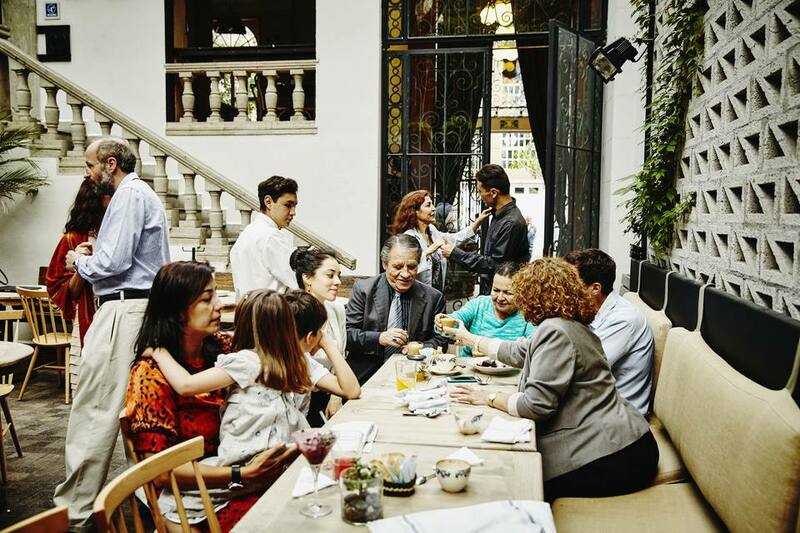 Many restaurants include a 16% IVA (“Impuesto al Valor Agregado”) or federal value-added tax; to make your life easier, you could simply match the IVA for your tip. Occasionally, if you have a large group, restaurant tips will be included in the bill. Always check the bill to see if service is included or if the restaurant has made any errors in calculation. Casual restaurants (fondas or cocinas economicas): It is nice to round up a little and leave around 5% or so at these restaurants, though tipping is not essential at fondas. Food stalls: It is not customary to leave a tip at a food stall, but you could leave a few pesos to show particular appreciation for the food or the cook. Bars: Leave around $1 to $2 United States dollars per drink for your bartender, or, if you're running a tab, leave around 15 to 20% of the total bill.